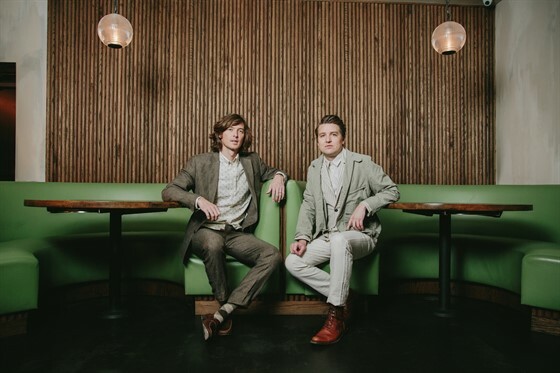 Waltzing into disaster and its aftermath, The Milk Carton Kids' All the Things That I Did and All the Things That I Didn't Do is available now on ANTI- Records. "Musically we knew we were going to make the record with a bigger sonic palette," says Ryan. "It was liberating to know we wouldn’t have to be able to carry every song with just our two guitars." Since their last studio album, Monterey (ANTI- 2015), life has changed dramatically for The Milk Carton Kids. Pattengale has moved to, and is now producing records in Nashville. Ryan is now the father of two children and works as a producer on "Live from Here with Chris Thile," the reboot of "A Prairie Home Companion." A break from years of non-stop touring, Ryan says, has yielded "space outside of the band that gives us perspective on what the band is."